Welcome and Nancy Hill for the Frantic Stamper Design Team. I am excited to share with you these gorgeous dies from the new November 2017 releases of Frantic Stamper. 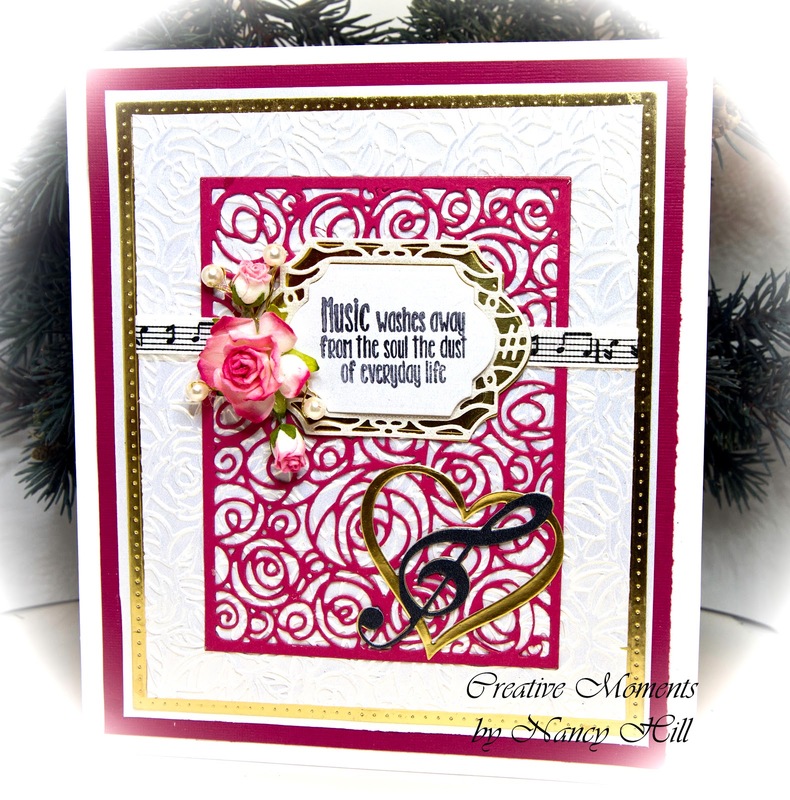 The gorgeous frame is the Frantic Stamper Spiral Rose Card Panel and I love the new Frantic Stamper Musical Heart that I cut out with black and gold cardstock. I cut out the black note and glued it on top of the gold musical heart. I highly recommend for you having the coordinating Frantic Stamper Coved Musical Label die set that coordinates with the Frantic Stamper Stitched Coved Labels die set. The sentiment is in the wonderful selection of Frantic Stamper Sing It stamp set that came out in November. Behind the Frantic Stamper Rose Panel is the Sue Wilson Rose embossing folder.